Pyramid is both Creepy in the video game and a creepy costume. That is a good double bill. 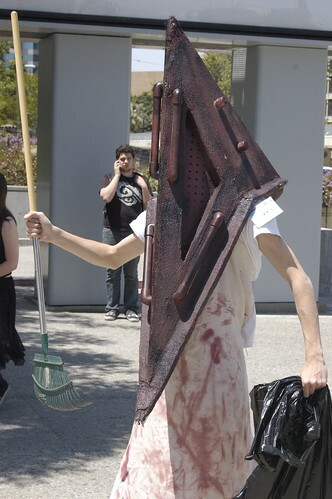 Pyramid Head doing community service? Bad, bad man.